Ho ho ho, and a bottle of rum! Yes, it’s that most wonderful time of year, when we all spend money we don’t have on obligatory tchotchkes for our loved ones. But gulp – what if one of those loved ones is — horror of horrors — a screenwriter? I mean, they already have all the cool social anxieties, neuroses and self-loathing, right? So what else can you possibly get that person? Fear not! We’re here with nine ideas that actually aren’t half bad, and best of all, they’re pretty affordable. So show that writer someone actually does care about them (they won’t believe it, but give it a go anyway.) You’ll be glad you did, and best of all, when you wind up in that person’s next screenplay, maybe it’ll be as the one who survives the apocalypse and escapes with the jet pack at the end. Isn’t this thing awesome? Unless your writer pal is a “friend of Bill” (that’s AA code for ‘in recovery’,) you really can’t go wrong with this all-purpose insta-alcohol dispenser. Best of all, it’s only 13 bucks including shipping! You can get it right here on Amazon. 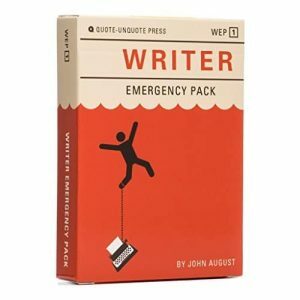 If this won’t hold enough hooch for your writer friend, check out these full-size options. Here’s one on Etsy and a lovely quill pen and ink one from Kyle Design, both $25. 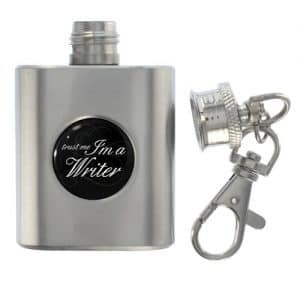 Sure, maybe not as helpful as a flask full of hooch, but word is that John August knows a thing or two about screenwriting. There’s no actual “pack” — this is a bunch of flash cards, each one containing ideas that should allow you to rethink a problem and find a solution. Each deck contains 26 idea cards and 26 detail cards with suggestions and tips. A smartly designed resource that will hopefully be the catalyst to get you rolling again and bring the twists to your story. And if you think 19 bucks is a lot of money to pay for a deck of cards, you are correct! Grab it here on Amazon. 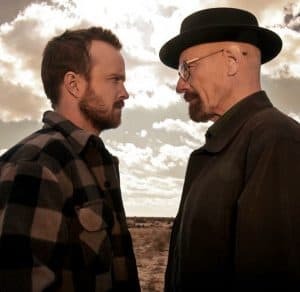 Did your screenwriter inhale all 60 episodes of the greatest TV drama ever made? GOOD. Because the “Breaking Bad” box set is screenwriting school in a 55-gallon methylamine drum. Packed with extras (more and more as the show gained popularity,) one learns so much about subtext, character, pacing and film/TV-making in general that this box set is a no-brainer no matter how many times you’ve watched “Ozymandias” on Netflix. The DVD set is 60 bucks (the Blu-Ray $86.) Check it at Amazon. My bookshelf is packed with dozens of these, from the infamous “The Anarchist’s Cookbook” to “How to Beat a Speeding Ticket” to “CIA Counterterrorism Manual” to “Surviving Prison.” Sadly, publisher Delta Press is long gone, and long-time counterculture icon Paladin Press also recently shuttered after almost five decades, but Last Earth Distro bought much of their old stock and has a pretty great selection. These books are indispensable for research purposes. 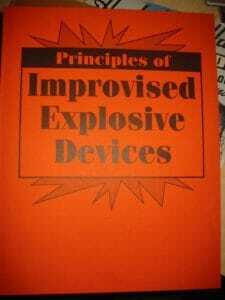 Imagine the joy on your writer’s face when you give them a manual on how to crack a safe, defeat alarm systems, learn to be a bounty hunter or even maybe survive a nuclear blast (yep, there’s plenty of self-defense and survivalist stuff here too.) A treasure trove of quasi-legal knowledge for educational purposes only! MasterClass has made quite the name for themselves by coalescing the world’s best-in-fields and letting the camera rip. Where else can you take tennis lessons from Serena Williams, cooking lessons from Gordon Ramsay, and composing lessons from Hans Zimmer all in the same day? 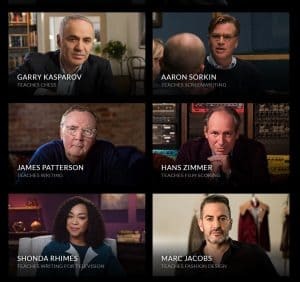 When it comes to screenwriting, Aaron Sorkin (“A Few Good Men”) and Shonda Rhimes (“Grey’s Anatomy”) bring it with 30-40-hour-long comprehensive video tutorials — all for $90 each, or $180/year for unlimited access to all their classes, which is pretty insane. Hell, I’m tempted to do it just for the Herbie Hancock. Did I mention David Mamet? Read our review of the Aaron Sorkin MasterClass right here. An actual print magazine? Indeed, they do still exist, and if you’re not getting MOVIEMAKER, you’re missing out on a quarterly dollop of awesome sauce splashing into your mailbox. And sure, they have a digital version as well. With an empowering focus on DIY and the festival scene, your writer friend may well forget about chasing a million-dollar spec sale and instead hit you up to help crowdfund their new experimental indie darling. 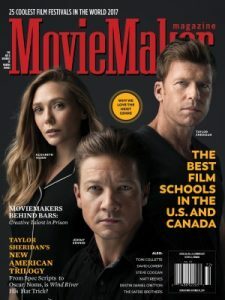 But Moviemaker is also just great reading, packed with articles from writers, directors, producers and the folks who are out there getting it done any way, any how. Get a year’s worth of MM for only 16 bucks (!) Go here and use this code: HolidaysMM. 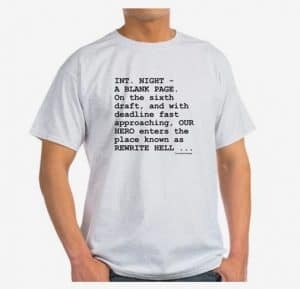 Cafe Press has a pretty fun assortment of screenwriting-themed T-shirts available in all different sizes, designs and styles. They’re all around $25 (shipping and tax extra.) 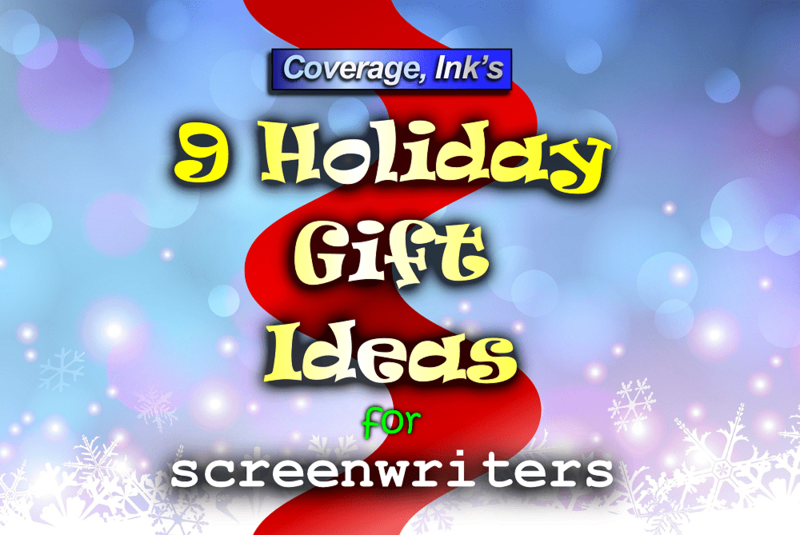 You’ll certainly find one that speaks to your screenwriter’s reality, regardless of whether they are a struggling, frustrated emerging writer or a struggling, frustrated established writer. 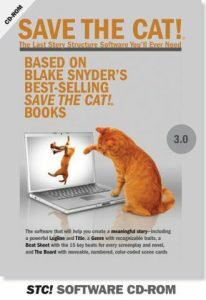 We’re big fans of the late, great Blake Snyder’s “Save the Cat!” books here at Coverage Ink. While some may scoff and say “formula,” we say: it’s like jazz drumming. You can’t solo if you don’t know the rudiments. Some years ago, they released STC! software for PC, ($99,) which was brilliant in its way because it forced you to follow all the steps and really think carefully about what you’re writing. The latest incarnation of this comes to Apple devices and is more of the same, to which we say: groovy. The app walks you through the steps from (marketable) logline creation to carding out your whole structure. Pretty much every screenwriter in the world could benefit from this. $20 at the Save the Cat website. You didn’t expect to get through this without some shameless self-promotion, did you? These are our two e-books, and they are specifically designed to address the two biggest problems we see in screenwriters. 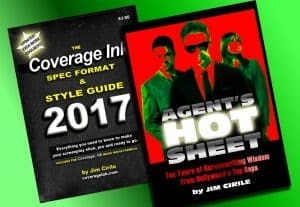 The CI Spec Format & Style Guide (104 pages, $3.95) tackles basic formatting but also gives your style an injection of nitro-glycerine by demonstrating advanced techniques that bring the sizzle. Agent’s Hot Sheet – Ten Years of Screenwriting Wisdom from Hollywood’s Top Reps (230 pages, $5.95) covers all the things about the business that writers try to keep their heads in the sand about. Featuring a decade’s worth of interviews with dozens of the top agents and managers in town, it’s crucial intel for the savvy writer intent on actually having a career. You can pick ’em both up as PDFs for $9.90 at Coverage Ink. Jim Cirile is a Los Angeles-based writer/producer and is a partner in Coverage, Ink.